For Driving instruction we tick all the boxes! Text "lesson" to 07793 214 166 and we'll call you back to book your first lesson. You can also call us on 01257 402266 or leave a message on our contact us page. At Go-Atlas we cover all aspects of driving instruction, from brand new learner drivers, through to providing the keys to start a new career as a driving instructor. The Go-Atlas Driving School operates across England with our extensive network of driving instructors all of whom are certified to DSA standards. With both male and female driving instructors you can be assured of feeling comfortable. High 1st Time Pass Rate. When it comes to learning to drive, we tailor make your driving lessons to suit you. From weekly driving lessons, semi intensive driving courses and our fast pass intensive driving course – where you can pass in one week! The one week intensive driving courses are also known as crash courses. Special Offers available, Book Today. For the very latest special offers and package rates contact us today! 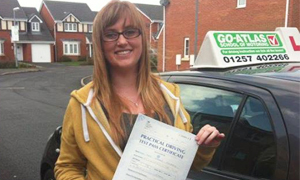 We pride ourselves on providing the best value for money driving lessons in the North West. We offer FREE Theory Test Pro access to all learners. So contact us today and let Go Atlas School of Motoring get you on the road at a price you can afford. 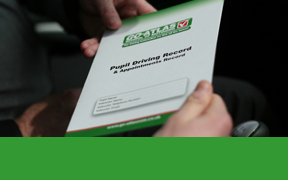 Go-Atlas School of Motoring – for driving instruction we tick all the boxes! From brand new learner drivers, through to providing the keys to start a new career as a driving instructor. There are a wealth of websites available which will be hugely useful for pupils getting ready for their test. Wigan, Chorley, Leyland, Preston South, Bolton, St Helens. ©2012-2015 Go-Atlas School of Motoring Ltd.